The trip I took yesterday must have taken more out of me than I thought, because my plans of getting up early were scuppered by my inability to get up. As such, I only had about an hour to reorganise my bags and check out, before I started to seriously look at how I was getting to the airport. Taxi would be easiest, but cost a bomb, while the bus would be cheaper, but runs at awkward times. Eventually, I decide to take my chances with the bus. It’ll get me there approximately 2 hours before my flight, which isn’t stellar, but figure if traffic is bad I’ll get off and get a taxi the rest of the way. Have to get a motorbike taxi to the bus station since its a bit of a hike with my bags, but also means I get there with 20 minutes to spare and can hide out in the air conditioned office until its time to go. 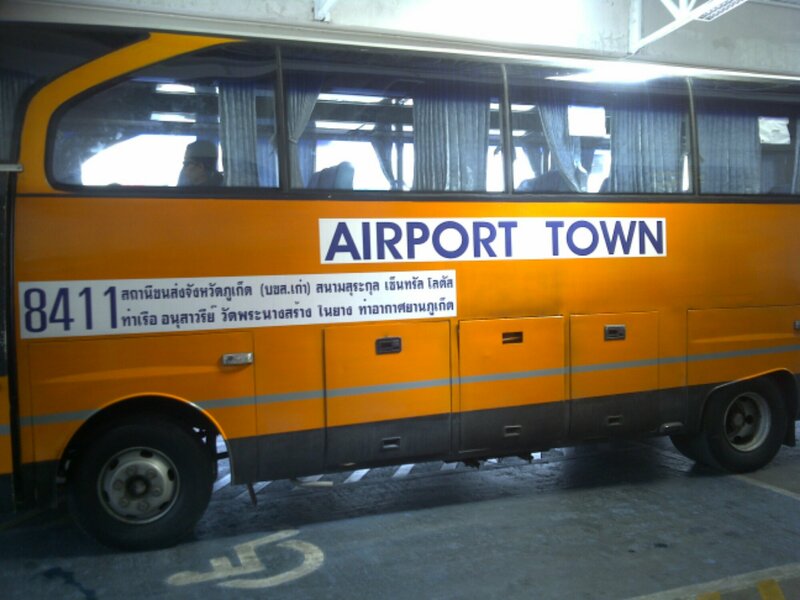 The bus only runs a few times a day, and takes about 90 minutes to get to the airport while stopping at various places along the way. Mine left at 13:00, and sadly did run late, but only by about 15 minutes. As such, my brief panic attacks that I might miss said flight were few and far between, though not helped by the sheer size of Phuket airport. I had to pretty much hike to another terminal to get checked in, and then hike back to go through security at the original terminal, and then spend 20 minutes in an immigration queue that was little more than chaos. By the time you got down to the staff, we had 3 lines but only 2 members of staff, and the strange middle line kept pushing through those who’d lined up correctly. And my temper didn’t get any better when the woman at our desk had to leave to confirm the details of a woman wearing a hijab and held our line up a good 8 minutes. Wouldn’t have minded so much if the desk to the far left of us had started accepting our line to make up for it (originally used for monks/priests but opened for the numbers) but instead just kept taking from the line to the left. Not my best airport experience. Least the flight was fairly uneventful. Singapore was the very first country I ever visited on my own, and I do hold a lot of affection for it. However, its an expensive place to be, and I’d only included it in my trip for one reason. My friend Sunny, who I’d met on another holiday happened to live here, and I wanted to catch up with her. Of course, I had no phone, so promised to contact her as soon as I made it to my hostel, the Travellers @ Sg. Admittedly, when I found this place (with the help of another guest) I wasn’t blown away. Its pretty tucked away in a not particularly nice looking part of town. However, when you get up the stairs its actually a much better find than I thought. The staff are nice, the rooms are clean and the beds are the softest I’d slept in for a long time. Send a message to my friend, letting her know I’ve arrived, though I’m not expecting to meet tonight as its pretty late and she’d had doubts we’d be able to beforehand. So instead I get some directions to a place I really liked the first time I was here. The shopping area ‘Suntec City’. Unfortunately I was in for a surprise. Suntec City is currently undergoing some massive construction work, so although its still open, the buildings I knew and remembered most fondly were shut down. While I mourned their loss this trip, I got a message back from Sunny, who said she and another friend were going clubbing, and could I join them. Now I’m not a big clubber, but figure I’m here for a short time so I should at least try. Friend asks me to meet her at 22:45 at a station, nearly 2 hours from now. This seems kind of late, so I confirm that its 2 hours till we meet, which she agrees, and I take it at face value. Little did I know, when arriving the pilot had announced the wrong time at the airport, and so I hadn’t amended my watch and was running nearly an hour behind. So when I was back at the hostel getting ready, I recieved another message asking where I was. She’d not realised the flaw with my 2 hours reply, and I’d honestly not seen any clocks to set me straight – though why everything had been closing down suddenly made a lot more sense. Since Sunny was now in the club and it was pretty late, meeting up seemed rather stupid now. I apologised, and she promised to contact me tomorrow morning with a time to meet – least I can get a good nights sleep (in what is by far the most comfortable bed this trip). 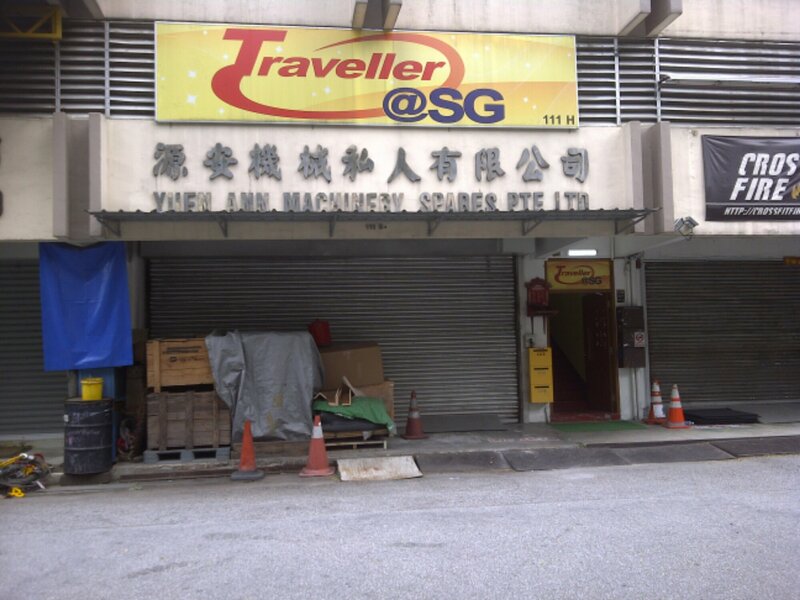 This entry was posted in Diary, Singapore and tagged Singapore, Suntec City, Travellers@SG. Bookmark the permalink.